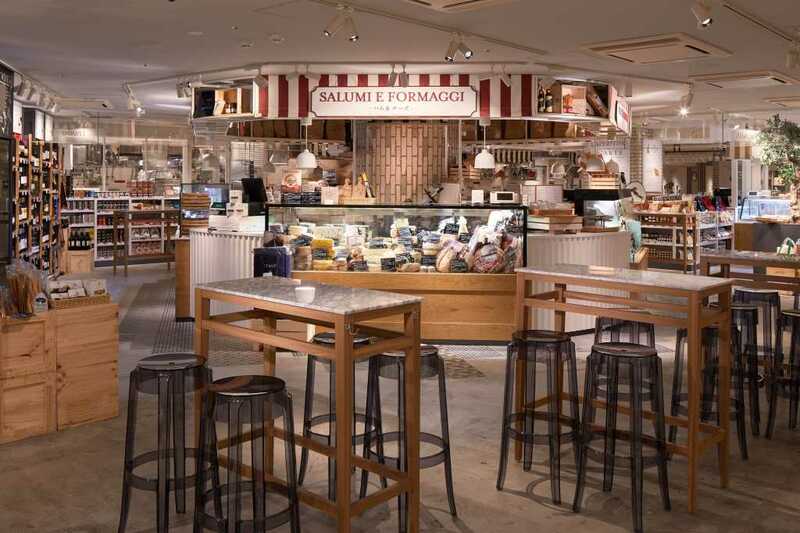 EATALY is a pioneer of Food Hall, a hybrid store of restaurant and retail, that has become popular in recent years. 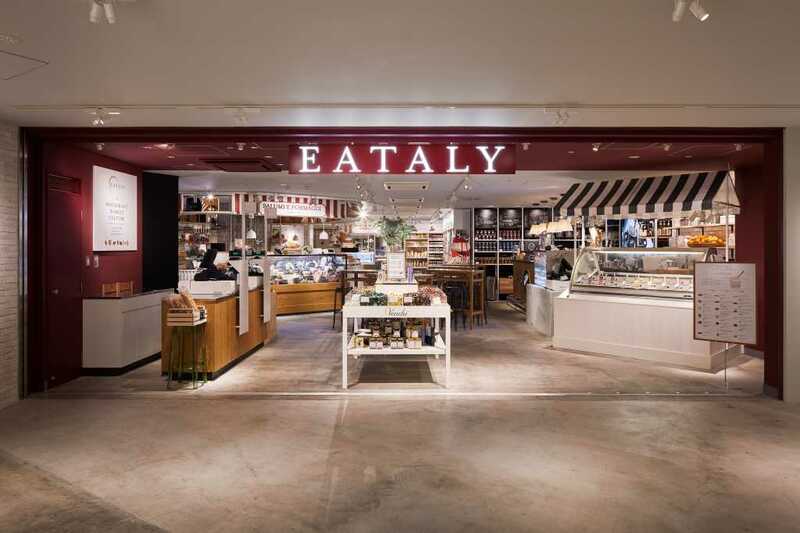 There are many stores of EATALY throughout the world besides its home country, Italy where visitors can “eat, buy, and learn” food. 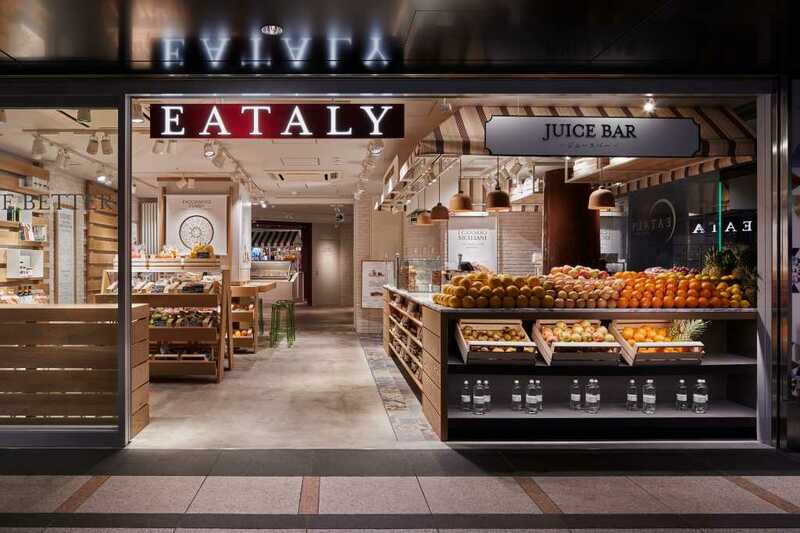 To start planning, what we did first was to rebrand EATALY, considering Japanese customs, culture, needs, and the location of Tokyo station. 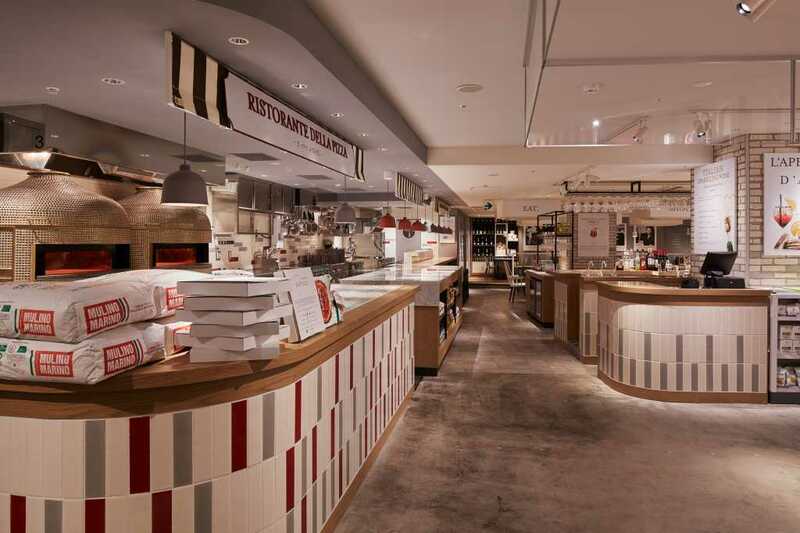 Countries we visited to experience the existing stores of EATALY were America, Europe, Asia, and Italy. Among them, we examined which format would fit Japan the most. 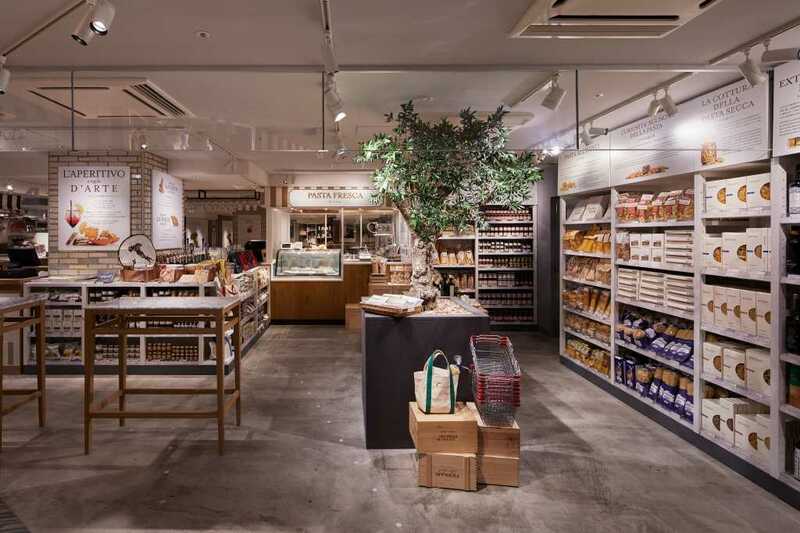 Many of EATALY food halls in the world have more than 3000 ㎡ and different shops are involved in the store space. 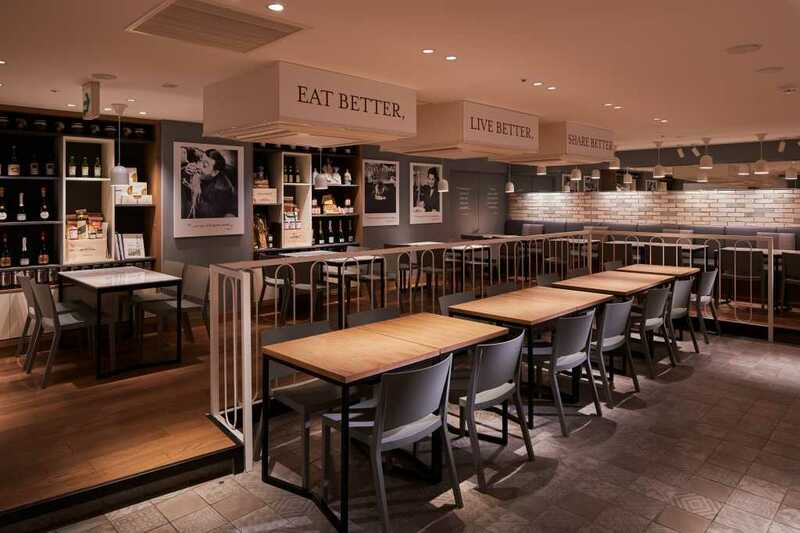 We cooperated with professionals in various fields and tried to resize it to one-tenth floor area. 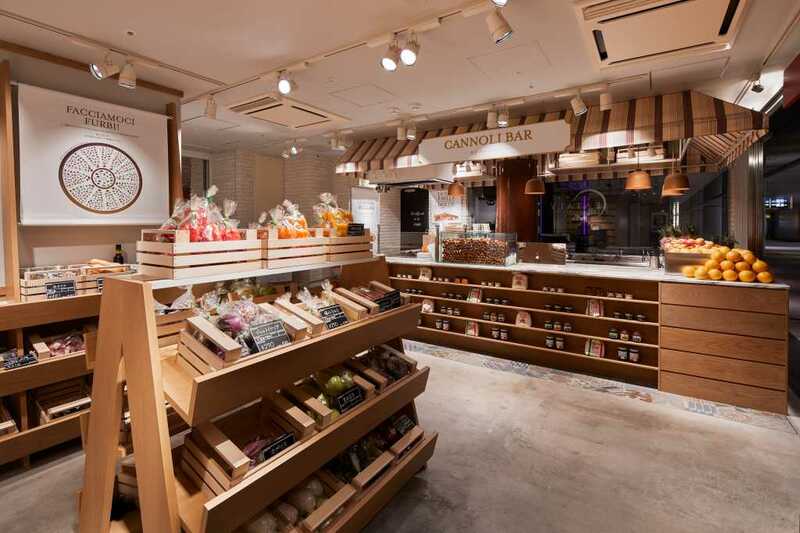 In order to make the space not too inorganic in the modern white-based color, we placed real materials such as wood and stone and created natural and comfortable atmosphere. In addition, considering proper use of lightings and focusing that produces a stereoscopic effect, we aimed to reduce the disadvantage of low ceiling height and strike a good balance between functionality and habitability.